Throw your bean bag and attempt to knock down the same colors. A great color learning game for the little ones. 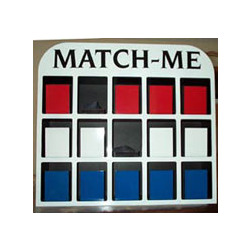 Toss the bean bag toward the matching number board. Knock down two matching numbers to win!